Parcel delivery services in Japan are an efficient way to send just about anything around the country. From frozen foods to golf clubs, residents of Japan can have items picked up and delivered with a simple phone call. Mayumi Matsumoto was a driver for the Yamato Transport door-to-door delivery company in the Iwate prefecture of northern Japan. One day, she was delivering a package that an elderly woman’s son had sent from Tokyo. Matsumoto thought that the woman was a little under the weather, but said nothing at the time and left after the delivery. That night, the woman passed away in her home and wasn’t found for three days. Given Japan’s aging population, kodokushi or solitary deaths are an increasingly common occurrence. Many of Japan’s elderly prefer to live in their own homes as opposed to senior homes, and because their children live and work in other cities, they often live alone with minimal social interaction and care. It was the first time that Matsumoto had an experience with kodokushi. Haunted by this event, Matsumoto thought of a way to prevent this outcome. Her idea (in Japanese) was to combine parcel delivery services with basic health inquiries. When she presented the idea to her company, her colleagues thought they should leave it to the experts in dealing with this problem. But she couldn’t ignore the experience with the elderly woman and was determined to get the service off the ground. After two years of battling, the service was introduced in the town of Nishiwaga in September of 2010. Nishiwaga is an isolated town in the mountains of the Iwate prefecture with many elderly residents, so the service was well received. Six months later, the 2011 Tohoku earthquake and tsunami hit most of northeastern Japan, and Matsumoto knew that the affected areas would be in most need of the firm’s new service. She headed out to Otsuchi where 60 percent of the houses were destroyed by the disaster. Many people still live in temporary housing today. Supermarkets were also destroyed, making shopping for groceries almost impossible. Residents living alone had a particularly hard time. 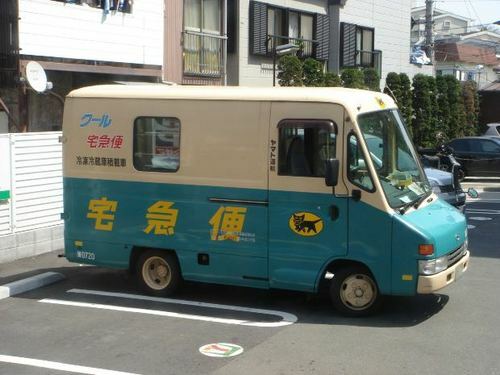 The new service for Otsuchi became a joint project between Yamato Transport, a supermarket in a neighbouring town, and the Otsuchi Social Welfare Council (OSWC). Elderly residents would call the OSWC to make grocery shopping requests, and the OSWC would put together a list for the supermarket. The supermarket workers prepare the items the following day, and the driver of Yamato Transport would collect the groceries as they would any other parcel. The groceries are delivered to each home. After each delivery, the driver would ask the recipients how they’re doing and fill out a checklist that would be faxed to the OSWC. If there’s a report of illness, a doctor or nurse will be sent for a visit. The service became available to residents in August of 2011. Often, social intrapreneurs have a hard time getting support from their colleagues. An individual that was critical to the Otsuchi project’s success was Saeko Tada, a member of the OSWC. Tada said that Matsumoto was a woman of action, full of energy and brimming with vitality. “I could tell how much she cared about the affected areas,” Tada said. Today, 120 residents living alone in Otsuchi are registered for the service. The service itself has been implemented in four towns and cities. For Yamato Transport, the service also makes sense from a business standpoint. In return for doing more than is expected, the company gets a guaranteed stream of daily deliveries.